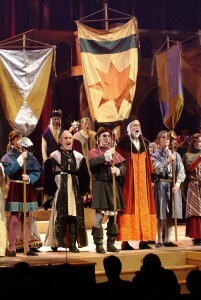 Attending The Christmas Revels each year with my family was probably my very favorite tradition. I remember vividly riding from our home in McLean, over Key Bridge, past the sparkling December lights of M Street, and stepping into the warm glow of Lisner Auditorium. 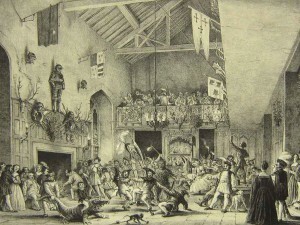 Attending the Revels was more a part of our holiday ritual than anything else, and the final notes of the Sussex Mummers Carol would reverberate within me for the rest of the season. The rest of the year, even. Patrick with his two boys at a music class. In 2013, I lost both my parents, my father in April and my mother in August. I was not a child when this happened, and I cannot overstate the empathy I feel for those who lose their parents as children or teenagers. But, I can say that even as a grown man with a wife and child of my own, the sense of loss I felt was immense. I struggled. 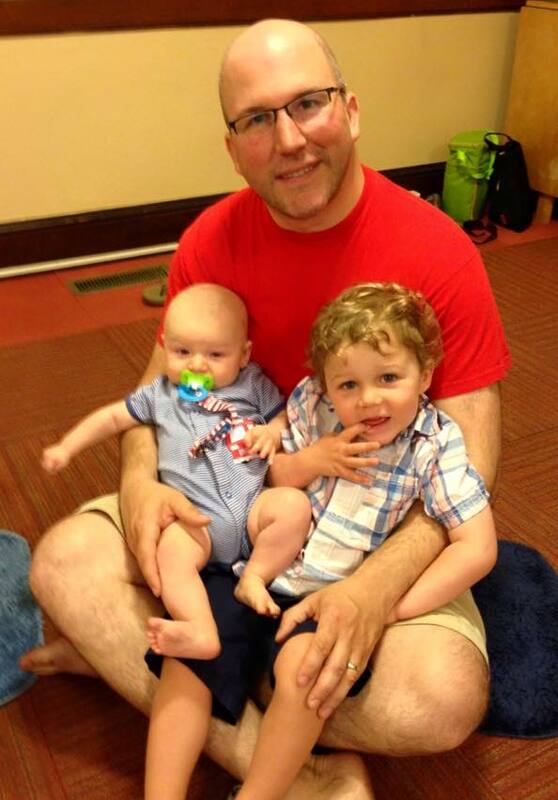 The hardest part of that first year was the waves of grief that would roll over me during the happiest moments – my son’s first words and steps, Thanksgiving, the news my second son was on the way – because my parents were not there to share it. I withdrew. I missed Revels that year. It was, simply, too much. 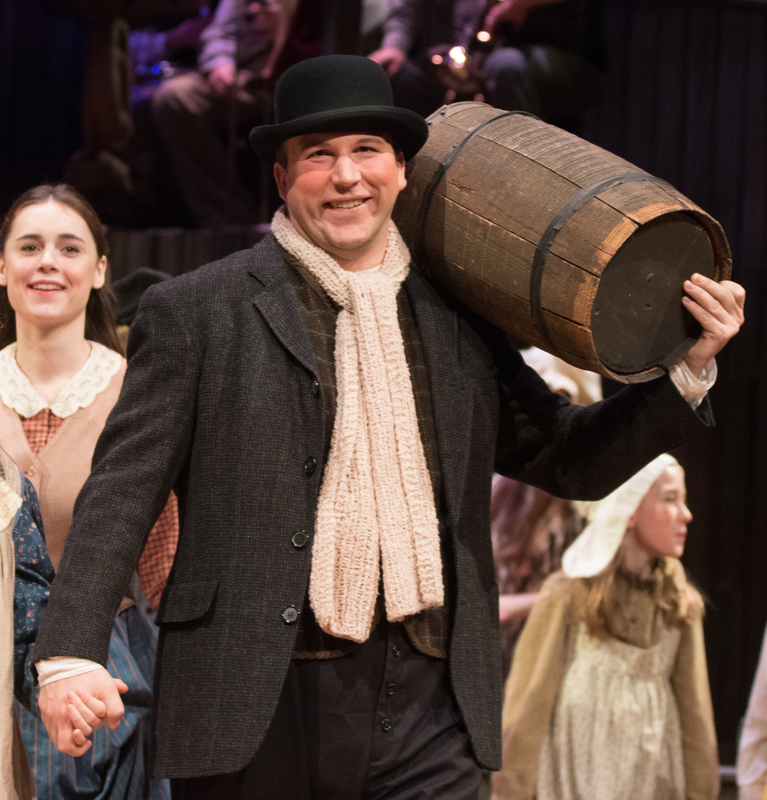 Patrick on stage in the 2014 Irish Christmas Revels. Over the next months of rehearsal, I was embraced, often literally, by the members of a group that I had only known from the outside, but which now held me close as one of their own. I found myself staggered by the talent, compassion, empathy and, above all, sense of community present in every single Reveler I met. Those who have sung in groups know that it is a powerful experience, allowing you to be both an individual and part of something greater than yourself at the same time. 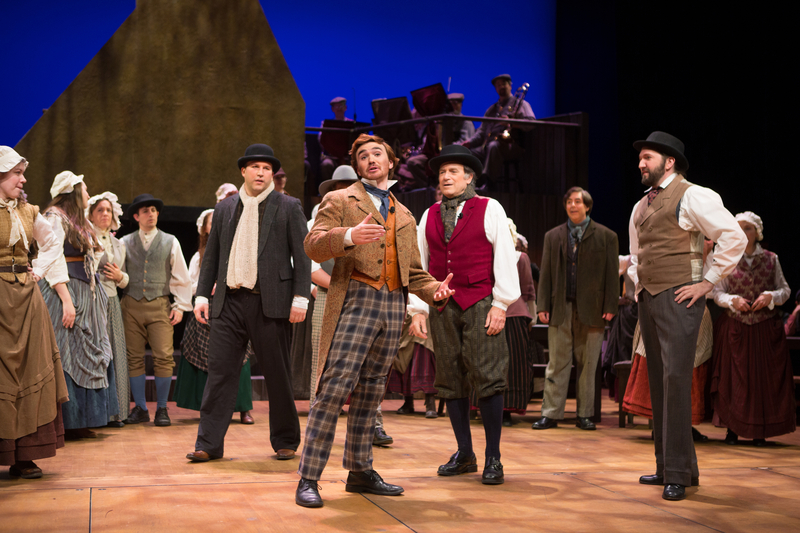 I have never had that feeling more than in the rehearsals for, and on the stage of, the Christmas Revels. My wife told me, only a few weeks ago, that from the time of my parents’ deaths until the time I joined The Christmas Revels, I had seemed a shadow of myself, quieter, sadder, and that it was only when I threw myself into the rehearsals and performance that I became my old self again. That’s hard to hear, but absolutely true. All along, the right answer was never to withdraw from joy, but to fully hold it in my heart. 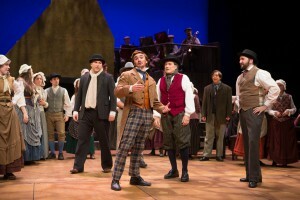 Patrick (center, left) with actors and chorus in a scene from the 2014 show. I learned that I am a Reveler. I was always a Reveler. And I will always be a Reveler. I emerged from my shortest day as promise wakened, caroled, feasted, gave thanks, and dearly loved my friends. I am immensely, and will remain eternally, grateful for the opportunity. 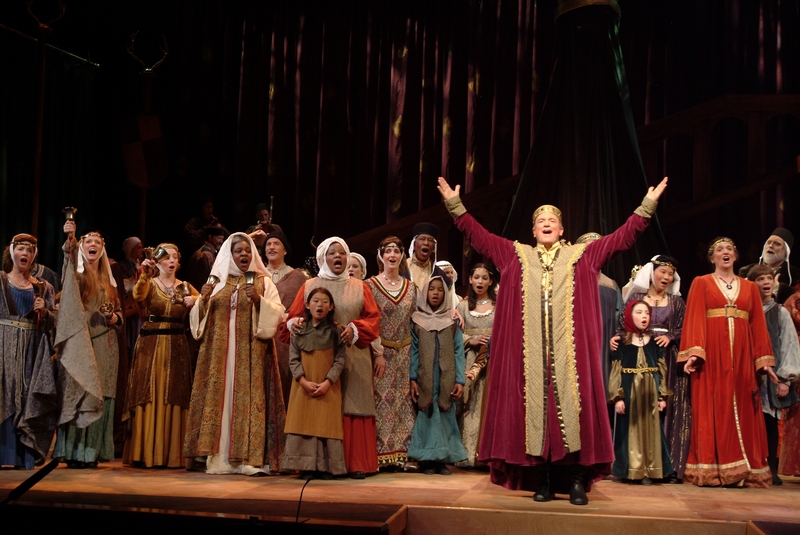 Patrick Malone was a member of the Adult Chorus in the 2014 Irish Christmas Revels. We eagerly await his return to the show when his littlest is out of diapers! 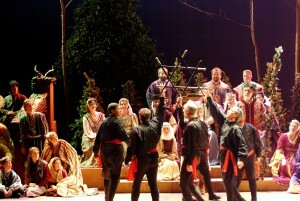 This article, written by former Executive Director Mary Swope eighteen years ago for the then-print newsletter Revelations, shows how some aspects of Revels are timeless. As we are deep in the middle of the upcoming 2015 show, we all appreciate seeing the overlap — Piffaro, a medieval castle, Mark Jaster, Roberta Gasbarre, Rosemary Pardee, Mary Gene Meyer and other aspects still bring endless spirit and energy to this year’s show, but we all also enjoy knowing how fully different the result will be than it was in 1997. How different? You’ll have to wait and see! 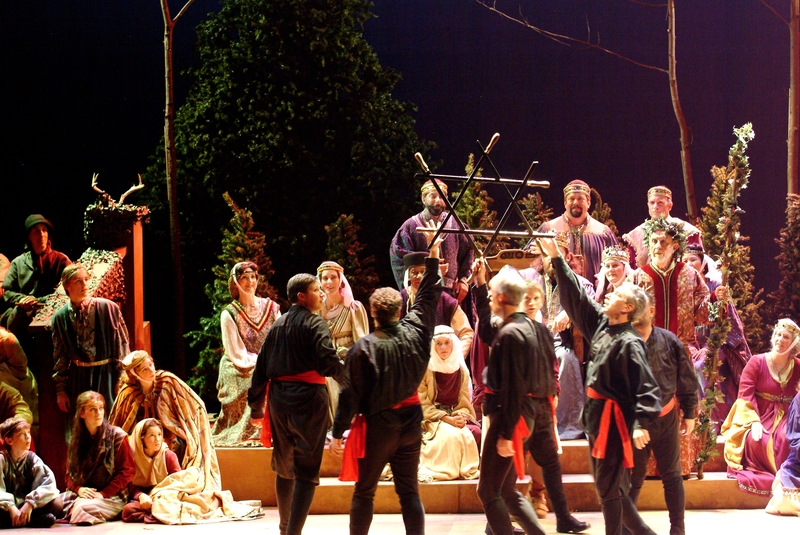 For a 15th season, the Washington Revels brings to Lisner Auditorium the ancient and joyous celebration of the year’s rebirth that surrounds the winter solstice. We return to the great Banqueting Hall of a medieval castle in England with a king, his court and the versatile and entertaining musicians of Piffaro, The Renaissance Band. 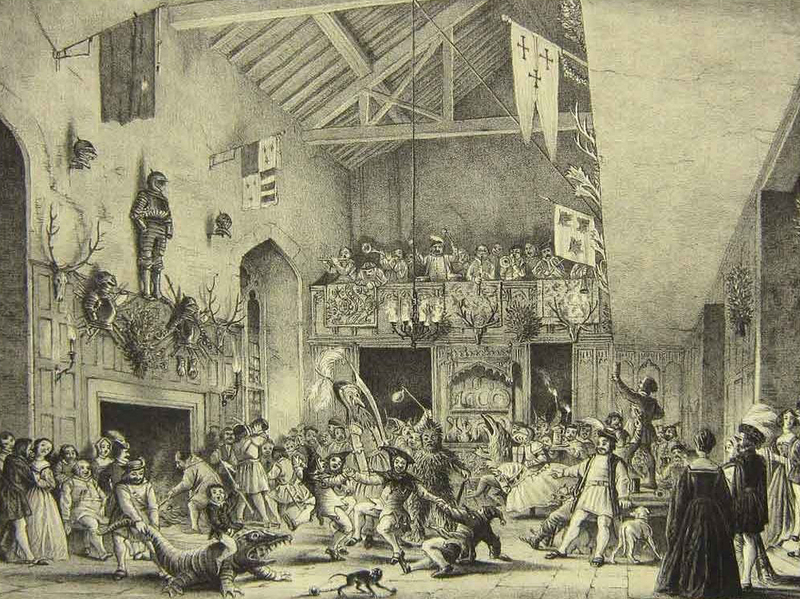 The court, including a Fool and sour-faced bailiff, is set to celebrate the season and the Feast of Fools with carefree merriment, secure in prosperity and power. What begins as a traditional challenge between the king and a stranger turns the destiny of the kingdom upside down. The humble Fool, played by Mark Jaster, finds himself bearing the full weight of his king’s heavy crown. What happens remains to be seen, but along the way there is music, jesting and drama, including such Revels favorites as The Boar’s Head Carol and Lord of the Dance, and all are invited to join in the fun. The evocative interpretation of the medieval Feast of Fools celebrates the Fool’s tradition association with the cycle of death and rebirth that lies at the heart of the Revels solstice festivities. At this dark season of the year, humanity counters natural and supernatural forces by turning to humor and an inversion of the everyday order of life. Roberta Gasbarre will direct the cast, and Judith Harrison is back as Music Director. The Washington Revels is again fortunate to have the service of set and lighting designer Michael Philippi, who, with Miriam Hack, has designed the dramatic setting in which the story unfolds. The company will be gowned and wimpled, doubleted and hosed by the talented costume team headed by designer Rosemary Pardee and associate designer Emilie Long. Stage props created by Mary Eugenia Myer’s group will further evoke the magic of the solstice season. The production interweaves the tale of the King and his Fool with song, dance, and a rich variety of instrumental music. From Piffaro, the Renaissance Band, come the dulcet tones of a recorder and lute, the squeal of medieval bagpipes, and the blare of a shawm and sackbut. From the musicians of The Solstice Brass, once again led by Robert Posten, sound forth trumpet fanfares and robust accompaniment to processional and carols. Belled and masked, the Foggy Bottom Morris Men appear in several guises, in wonderful wild dances with sticks and kerchiefs as well as the ritual sword dance during the traditional mummers play Saint George and the Dragon. An auditioned chorus – The Haddon Hall Wassailers and Playford Dances – will sing, dance and lead the audience in rounds, wassail songs and the ever-popular Twelve Days of Christmas. Children, as always, play a special role in The Christmas Revels. 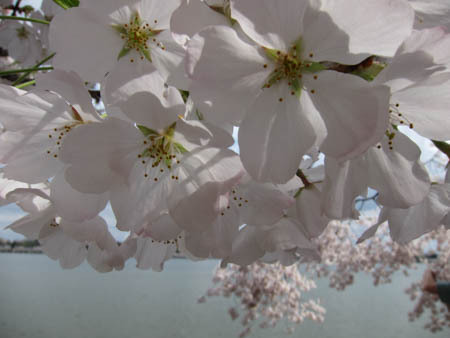 This year’s Piney Branch Children, selected by an audition from Janney Elementary school, a public school in the Tenleytown section of the District, will sing There Was a Pig Went Out to Dig and other Revels favorites. These youngsters will be featured also at other moments in the story, in roles both dramatic and humorous, much to the delight of children in the audience. Janney music teacher Judith Block, who has produced many of the productions of the local Children’s Summer Musical Theatre Workshop, will direct. For young and old alike, it’s sure to be a joyous celebration.